The Whizz team brings you an exciting announcement! 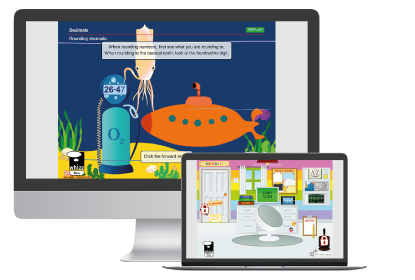 Read on to discover how the Maths-Whizz tutor is being updated to better support your curriculum goals, as well as how you can get involved with user testing. Whizz was founded on the belief that every child deserves a learning journey that caters to their individual needs and pace of learning. The Maths-Whizz tutor has served that belief for over a decade, delivering personalised learning to over half a million students worldwide. Our research shows that students learn best when they receive the right lesson at the right time. Maths-Whizz is most powerful in the hands of our teachers. Maths-Whizz is more than a tutor. It is also a teaching assistant; feeding back actionable insights on your students’ learning and helping you deliver on your curriculum goals. This latest innovation to the Maths-Whizz tutor will allow teachers to direct the tutor’s attention on any curriculum topic. As you guide students through individual units of the curriculum, the Maths-Whizz tutor will be at your service, focusing your students on your chosen topic . The tutor will continue to support students at their individual level by delivering lessons within your chosen topic according to their needs. This enhancement is coming in the new academic year. In the meantime, we are engaging teachers to provide feedback and suggestions on our latest prototype. Want to get involved? Just drop a note to [email protected] or get in touch with your dedicated Customer Success Manager.